A few weeks ago, I took my mum to another class at Wild Sugar Rose as an early birthday present. 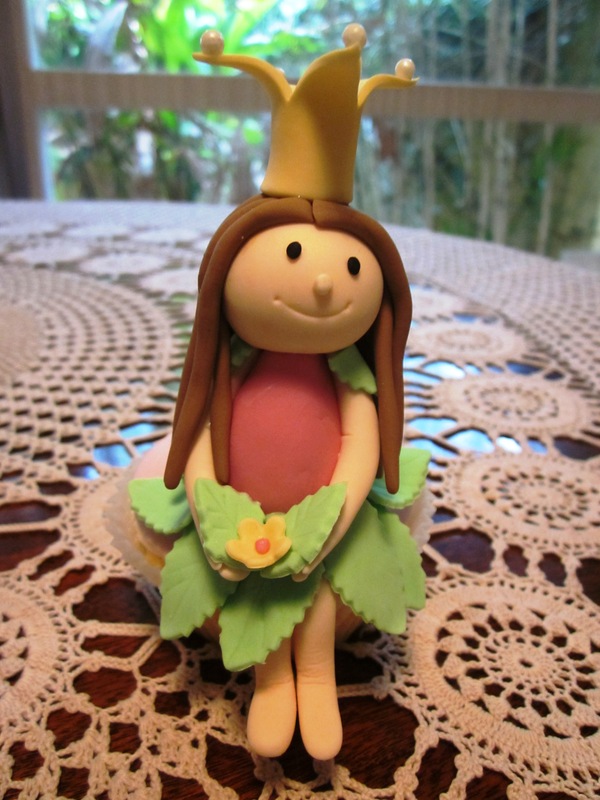 This was another modelling class, and we all learnt how to make a fairy princess to decorate a small cake or cupcake. I have found from the classes I have been to that I really enjoy the modelling work the most, particularly modelling animals. 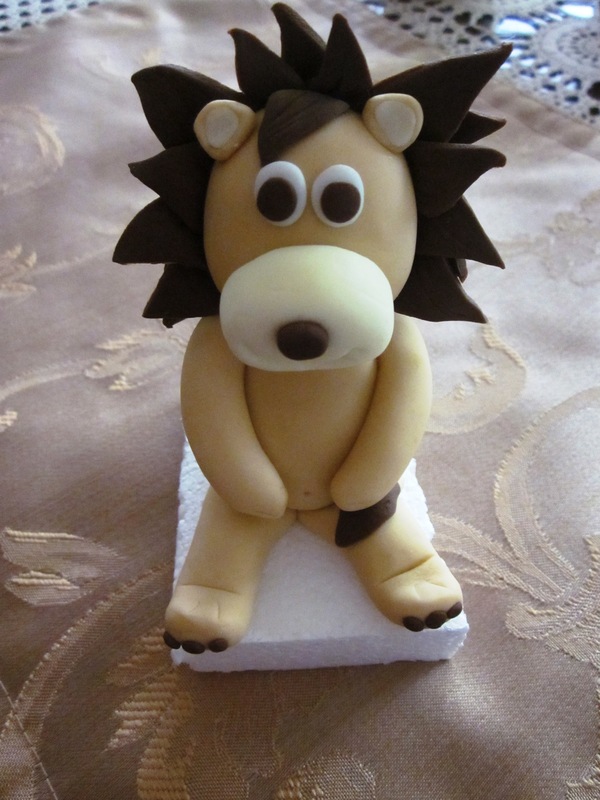 I think you can get a bit more character into the animal models than the human ones, particularly as a beginner (I have seen some incredibly amazing figures from experienced and talented cake artists). It is also really nice to go to the classes with my Mum, and reminds me of when we used to go to porcelain doll making classes together. No matter how much you think you may know about cooking, there is always some new trick or technique that you can pick up from a cooking class and I continue to learn new things whenever I go. You can read about the technique of pasta making, for example, but until you actually feel the pasta dough, you never know exactly what the end result feels like for the best pasta. Over the past few months I have attended a few cooking classes from cake decorating to meat butchery and thought it was time I shared them with you, before I head off to the next one tomorrow. 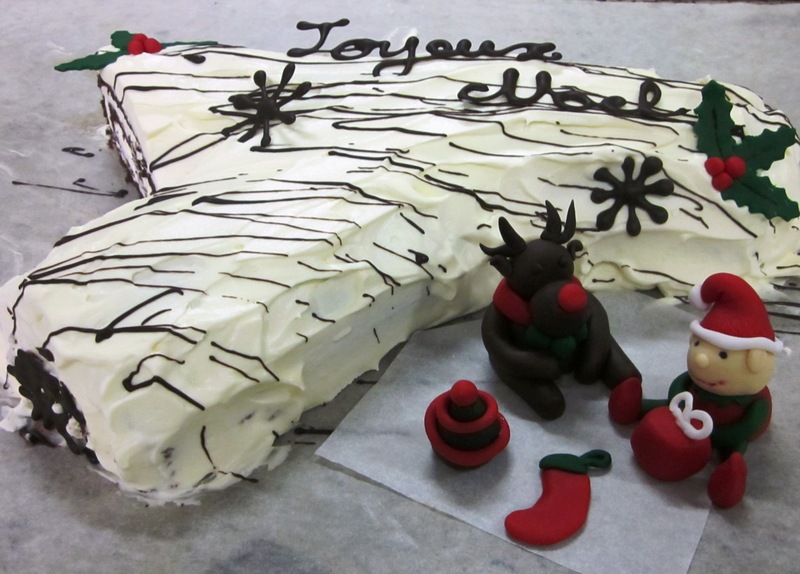 Continuing my very busy month of classes, I recently went to a class with Sarah at Baby Cakes to learn how to make a White Chocolate Yule Log (or Bȗche de Noël ). These are in all the patisseries in France at Christmas, so seeing as we are having Christmas at home with my family this year, I thought it would be nice to learn. I always enjoy Sarah’s classes and her recipes have always worked perfectly at home. Her berry soufflé rose so high the first time I tried it at home, I had to scrub the top of my oven and top shelf (not that I minded, as I was so worried they wouldn’t rise – I’ve since learnt not to doubt Sarah’s recipes). I’ve made her cupcakes so many times, and they have always resulted in beautifully moist cupcakes. Sarah has been generous enough to allow me to share her recipes on my blog, so cupcakes will be coming soon (I am baking a massive batch tomorrow for birthday morning tea for work, so I’ll put them up early next week) and I’ll try and get the soufflé recipe up as well. But back to the Yule Log. I’ve always thought they would be extremely difficult and fiddly, but it was actually a lot of fun to make and achievable at home, and it rolled up a lot easier than I expected. Plus the frosting hides any mistakes. The recipe may look like a lot of steps, but it is only a few ingredients and processes. I believe that these are traditionally decorated with marzipan or other decorations, meringue mushrooms and some of the ones I saw in France a few years ago were very elaborately decorated. Having just learnt how to use fondant, I tried making an elf and reindeer at home and took them along with me, and was quite happy with how they turned out for a first attempt. We also made chocolate decorations (melted chocolate, piped onto baking paper) and some fondant holly (roll out green fondant, cut with a holly cutter and then roll balls with red fondant for the berries). You can decorate it anyway you want. You could also replace the white chocolate ganache with dark chocolate for a dark log. That is the joy of cooking, you can make it the way you want using the basic recipe as the base. 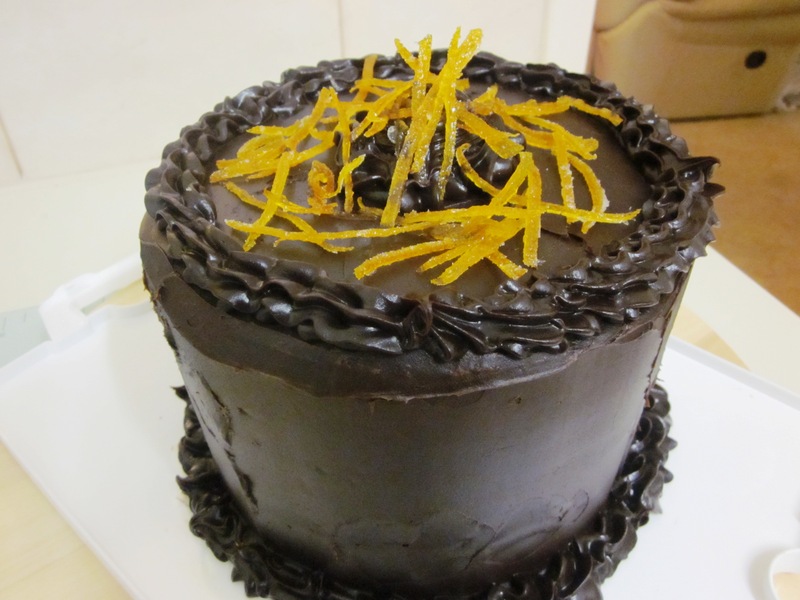 Thank you to Sarah at Baby Cakes for allowing me to share this recipe. I was exhausted that night so I unfortunately wasn’t my most attentive and don’t know how much of what was taught I actually retained (writing it down straight away might have helped with that, but I decided to sleep instead). Does anyone want to hear about the whole hour of the class that we spent colouring fondant? Think of a room full of adults mixing play-doh together. Not making anything, just mixing it and you are just about there. So I’ve combined Weeks 2 and 3 in this update because I had much more fun in Week 3! Last night I did something new for me and went to my very first cake decorating class with Julia at Cupid’s Delight. I really enjoy going to cooking classes and baking, so thought I’d give cake decorating a try. There are 11 of us in the class, with experience ranging from me with no experience with this kind of cake decorating, others who have tried it at home, a few who have done other classes as well as two chefs. It will be interesting to see how I keep up. Most of the class seem to be hoping to set up a home business in cake decorating, which was interesting. That certainly isn’t my aim. I am happy to do it for fun, and blog about it of course. No photos yet as the first lesson was all theory (health, food and safety, how to line a tin). I am happy to report that I passed the quiz that followed with flying colours, so I am safe to be released into the kitchen! I had a great time and am looking forward to next week when we do get into the kitchen and also get our kit of tools. 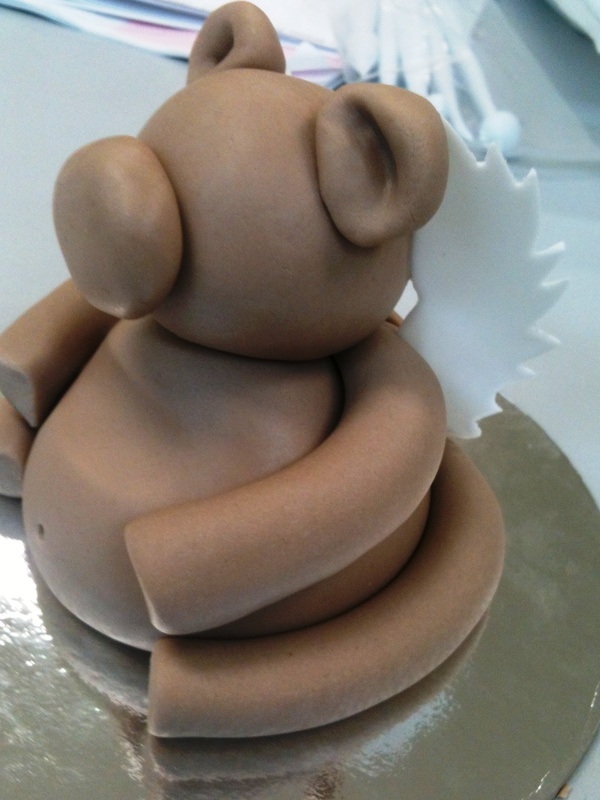 I’ve never done any cake decorating with fondant, so I am really looking forward to learning some new skills. My homework for the week is to soak my fruit for the fruit cake we will be decorating (I’m currently trying to decide what fruit and alcohol to use to make mine different – I’m currently thinking of dates and pineapple for the additional fruit, possibly some coconut as well, but not sure about the alcohol at this stage. The recipe uses brandy). 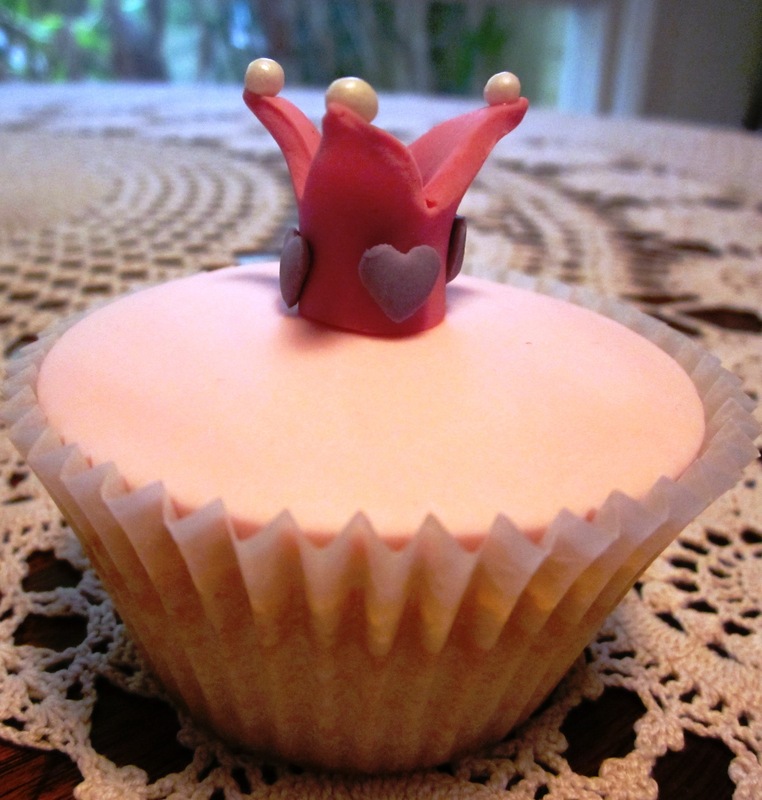 I also have to find a good on-line cake decorating resource to share with the class. If anyone has any recommendations please share them with me. More recipes to come soon. But for now, it’s off to work I go.